Material Sports of Japan has a robust, nearly cult-like following for its extensive line of mogul skis. Over ten years, ID One claims 44 FIS World Cup victories in eight disciplines, 1 FIS World Cup overall championship, 1 Freestyle FIS World Cup overall championship, three Olympic gold medals and two gold FIS World Championships, so they truly make high performance skis. They make 6 mogul models, 7 freeride models, 7 recreational models and 3 technical carving skis. The mogul skis are available with cracked or solid edges in some models. An unusually high-quality, precise, razor-like line holding tool with calming, confident feel at nearly any speed. The lack of intense rebound might be mistaken for lackluster performance, until you realize it can maintain extremely high-pressure turns at high speeds with secure composure without vibration, deflection or instability. The TTM does not require intensive user-input, only patience to get into its sweet speed zone. Superb edge grip. No snappy rebound. Quiet, authoritative grip. This is the ski you take out early in the morning on fresh hardpack before people clog up the trails. 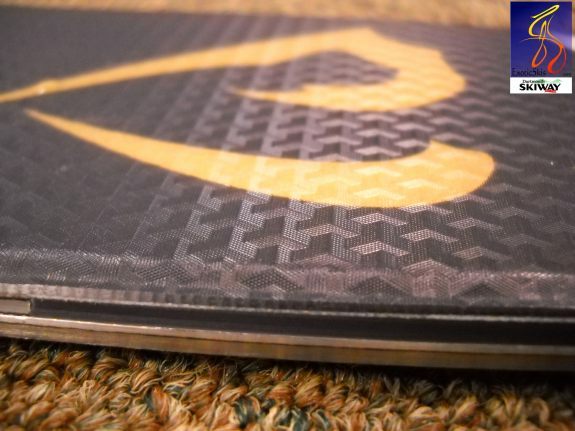 Superb fit and finish with stunning basegrind pattern, perhaps some of the best finish work we have seen on a ski. Authoritatively strong flex and strong torsional resistance. High-energy rebound snap with hand-flexing. "High tension" feel and sound with the hand-gong test. Fairly conventional geometry and camber design. Feels like a sports car in your hand. Slightly softer than the TTR GS race ski, but very, very similar with a slightly curvier sidecut and narrower radius. Really interesting textured topsheet material. Moderate camber profile. Understated graphics, but very business-like. This initial report is the result of two days on man-made packed powder and hardpack surfaces, but no blue ice conditions. More reports as conditions change. One TTM holds a line with remarkable security, no matter what speed you achieve. Some GS cheater skis get somewhat nervous after you exceed their optimal speed zone, but not the TTM. (I don't know if a 21.3 meter radius really qualifies as a "GS Cheater" these days, but that's what people call it.) I found the TTM can make a tighter radius turn than its design indicates, but it takes a steady, strong pressure to make it curve tighter than 21 meters. The TTM is not a "turny" GS-type ski, but an elegant line-holding device that gets more impressive the faster you ride it. Never twitchy, never nervous. If you don't like speed, pick a shorter length of this ski or a different model. We mounted this pair with a fairly strong VIST raceplate, which definitely added to the damp personality of the ski and provided leverage for edging. 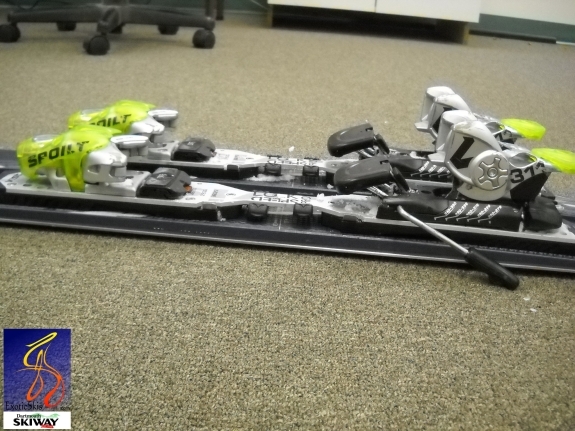 This ski seems to like having a plate underfoot and we would probably recommend such a setup for anyone buying this ski. IDOne actually bundles the TTM with a Tyrolia plate if the buyer wants it. This 180cm version feels longer than it measures, and wants to run. The TTM has a bias for large-radius GS turns rather than tight-radius GS turns since it has a relatively straight sidecut by today's standards. The TTM has a pronounced feeling of strength in a turn, without being burly-feeling (if that makes sense). It also has a very precise feel to the way it holds its line. Racers looking to get off a demanding race ski will probably find the TTM might have the same holding power and calmness at speed as their old rides, but with less effort and high-strung nature. I didn't get the TTM into bumps or deep snow, and I wouldn't recommend using this ski in those conditions, especially with the superb collection of other skis out there. The ID One TTM is a specialized, narrow speed machine for packed surfaces with stunning quality and a refined, professional grip under the entire length of its geometry. 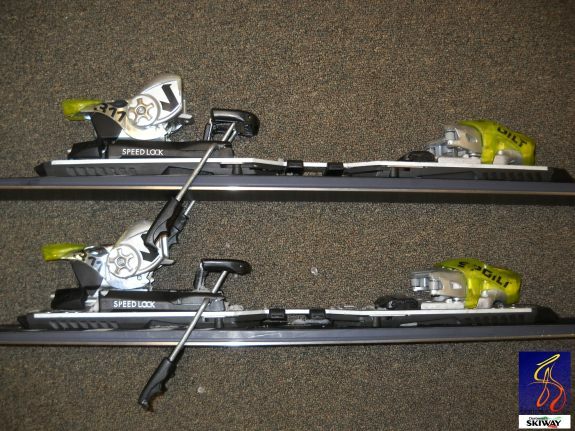 ID One has delivered a very impressive ski, but it does not come cheap. U.S. distribution did not exist in 2010-2011, but there is an importer in Canada (see website). 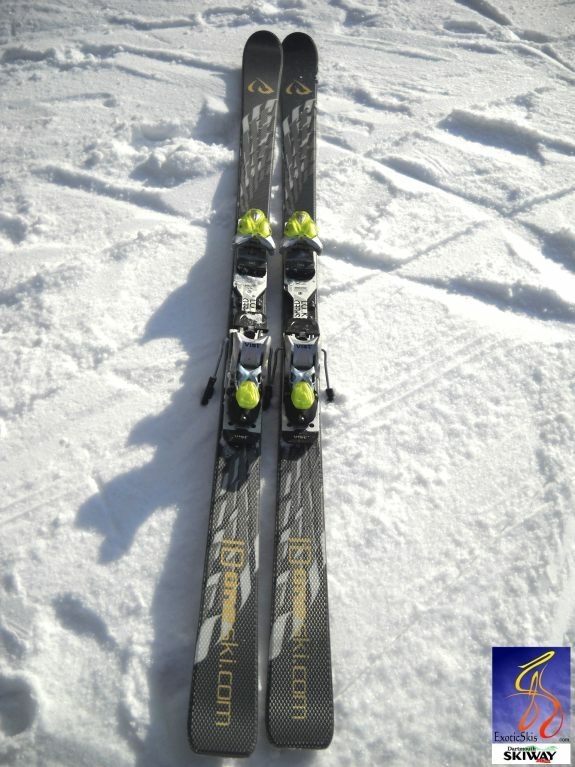 The quality, feel and heft of the ski indicates it is likely to keep its performance for quite a few seasons. 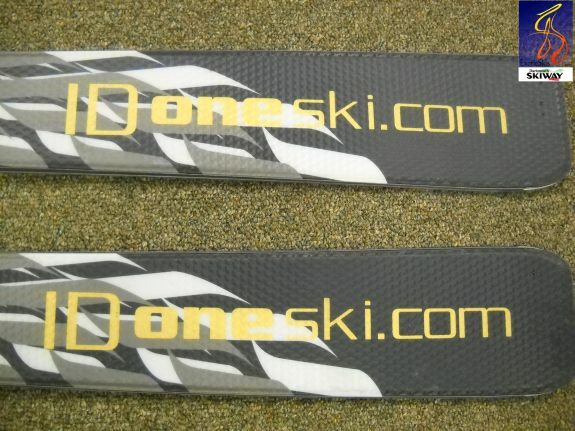 The ID One TTM confirms Japan's enthusiasts can make stunning skis. Wear your helmet. A specialized woodworker's knife designed to perform surgical incisions extremely well on any hardwood at remarkable speed. I would make the geometry slightly turnier - maybe 19 meters - with a slightly wider shovel, leaving the waist and tail dimensions alone to encourage a slightly quicker turn intiation without sacrificing the midbody and tail security. This is a high-speed carving machine for speed addicts who crave smooth control across hard surfaces without exhausting themselves. If you did not race GS in your past life as a skier, you may find the velocity required to get this ski into its sweet-spot turning behavior may take you out of your comfort zone. If you were a GS fanatic, you might have to sell something to buy a pair of these. 5' 11", 180 lbs. 52 year-old expert groomed-surface carver, "old-style" race inspired, "foot steerer" with fairly sensitive edging feel. Loves to hold long arcs with lots of pressure on the downhill ski (you know the type), but also loves the feel of both skis on-edge leaving tiny railroad track edge tracks. Loves powder when it's not tracked out. Trees and odd terrain angles are fun. 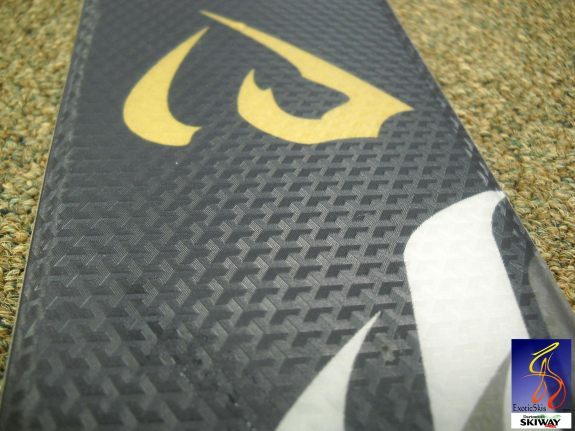 TTextured topsheet detail - note layer alignmenjt and fit quality at the sidewall joints. i found the ID ONE TR-TTM was very solid in all aspects. where most race skis over a 20 meter radius require hard fast skiing to get them to bend the TR-TTM allowed for a turn at little slower pace. They were not very snappy out of the high speed turns, more of a smooth, predictable transition to the next turn, with a lot of speed and pressure unweighting. Extremelly solid edging all the way through the ski, with a smooth flex and a better turn radius for recreational ripping. Very fun ski on less crowded day when you can let them run, and on the hard fast "eastern" surfaces we have had here lately.